After enjoying a lot of success during their previous releases of this shoe, a new colourway of the Jordan Prime 5 is set to roll out again this April 2011 and like its predecessors, it is set to turn heads this month. The new Jordan Prime 5 will come out in White/Varsity Red – Black – Reflective Silver colourway that features an all-white upper leather with a black midsole and translucent blue outsole. 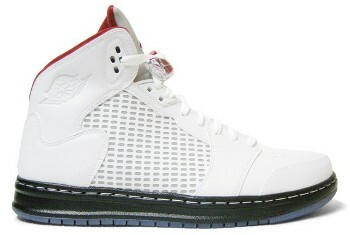 Dubbed as the “reflective” edition, this new edition of the Jordan Prime 5 is a must buy this month. Don’t dare miss it!